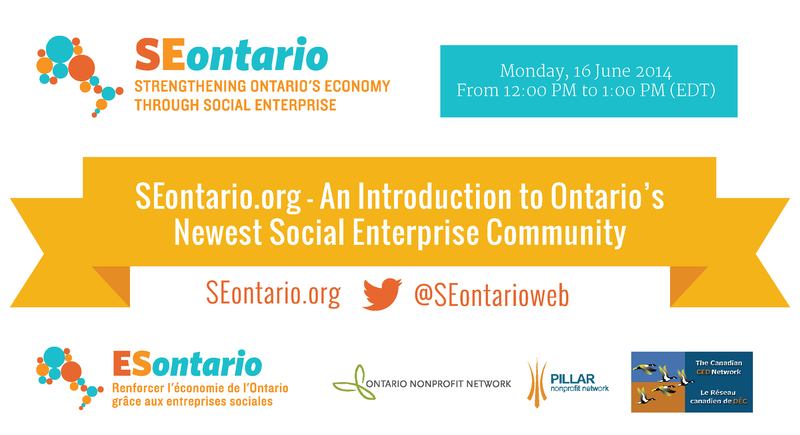 Learn more about SEontario.org, Ontario’s newest social enterprise community, and how it is designed to help profile and inspire social enterprise in the province. Lore Wainwright is a social enterprise champion who is supporting emerging and existing social enterprises in London and area to flourish. As the Social Enterprise Program Manager at Pillar Nonprofit Network, Lore is helping to mobilize a strong social enterprise support system locally, provincially and nationally. Lore brings over 25 years of experience from the telecommunications industry as a communications specialist, leading many national business initiatives. Most recently Lore led a significant internal communications campaign to promote employee engagement for Bell’s Let’s Talk mental health initiative. Passionate about getting involved, sharing her knowledge and making a difference in the lives of others, Lore is Program Manager of ONERUN, a third party charitable organization focusing on breast cancer patient care that has raised over $380,000 over a two year campaign. In her spare time, Lore is a fitness instructor providing clients with increased health knowledge, attention to personal needs and a genuine consideration for increasing their own personal fulfillment. Heather Laird works with the Ontario Nonprofit Network to develop policies from the ground up — by our sector, for our sector. Through her previous involvement with the International Community Action Network, she worked in Jerusalem, supporting community advocacy to build neighbourhoods across conflicted communities, in Israel, Palestine and Jordan. Prior to that she created an international internship program for ICAN’s Montreal office. She holds a Joint Honours Degree in Middle Eastern Studies and English Literature from McGill University and is currently completing a Graduate Diploma in Social Innovation at the University of Waterloo. Heather has directed and produced theatre, run a business, and acts as an advisor to the Laidlaw Foundation. She co-founded and runs Connect the Sector, a convenor of younger nonprofit professionals across Ontario. Paul Chamberlain supports the Ontario region of CCEDNet and leads CCEDNet’s provincial social enterprise research and infrastructure development working in collaboration with the Ontario Social Economy Roundtable. He also led CCEDNet’s national projects demonstrating the impacts of CED on poverty reduction, immigrant social enterprise and youth peer mentoring. Before working with CCEDNet, Paul spent 18 years working as a department director with Dixon Hall, a multi-service neighbourhood centre in downtown east Toronto. Working to improve social and economic outcomes in one of Toronto’s most challenged communities, he focused on social enterprise and community economic development as well as self-employment and employment training. Paul also initiated and chaired the Downtown East Community Development Collaborative, which created an inclusive, integrated and comprehensive model for the delivery of employment services.